Bioware and EA have just released the latest addition to their Mass Effect 3 marketing arsenal. 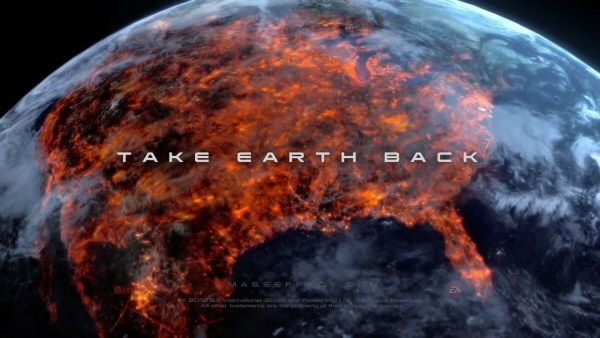 This epic new trailer titled “Take Earth Back” is made entirely out of CGI, and runs for just over 2 min. This latest Mass Effect 3 trailer for Bioware’s first person shooter starts off with a little girl playing in a field of sunflowers while space shuttles fly by. Suddenly the space ships are shot down by Reapers which touch down on earth and begin killing everyone in sight. About halfway through the trailer, Commander Shepard shows up with an army and gets to work fighting off the invaders. Be sure to read our epic Mass Effect 3 Review or download any of our Free ME3 Wallpapers. Mass Effect 3 will be released on Xbox 360, PlayStation 3 and PC on 6 March 2012. I heard earlier today that a place in southern china banned mass effect because of a lesbian encounter! Whats your thoughts about that stuff? I mean is it really that serious… People have their own rights and freedom we shouldn`t really go against that but thats just my opinion! We actually heard that the ban on Mass Effect due to the lesbian encounter was in Singapore, and that the ban was later lifted. Where did you hear that China banned it? ME isn’t on any China banned list we have seen.